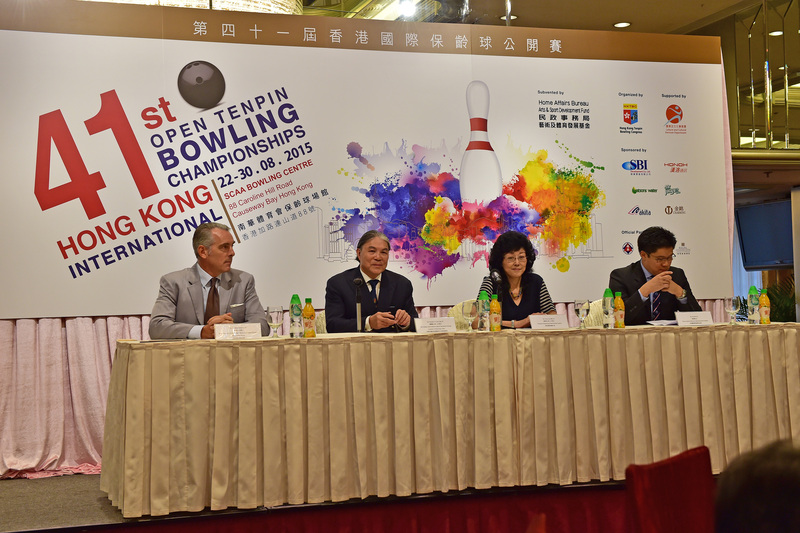 The launch event for the 41st Hong Kong International Open Tenpin Bowling Championships to run from August 22 to August 30 took place at the Regal Hotel Causeway Bay today, Thursday August 20, 2015. 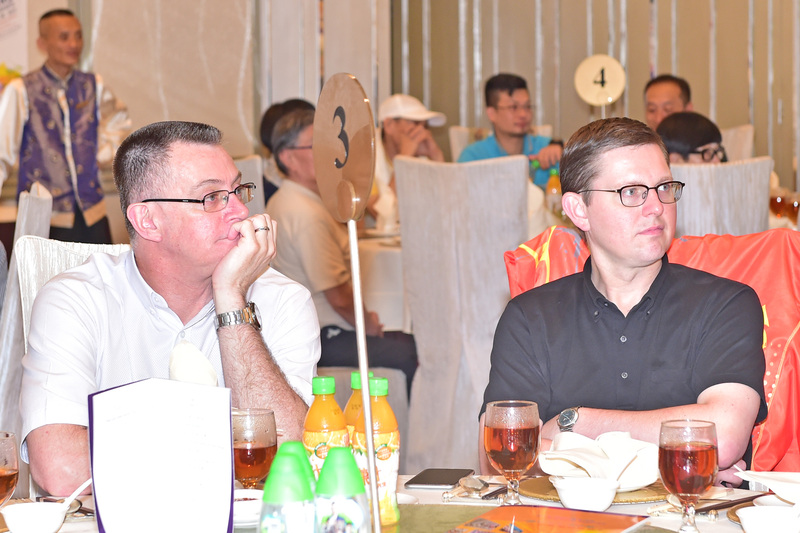 Top table guests included Vivien Lau, BBS, JP, Chairman of the Hong Kong Tenpin Bowling Congress; Timothy T.T. Fok, GBS, JP. IOC Member and President of Sports Federation & Olympic Committee of Hong Kong; Jonathan McKinley, JP, Deputy Secretary for Home Affairs (Recreation and Sports) and Kenneth Fok, Director, Hong Kong Sports Institute. 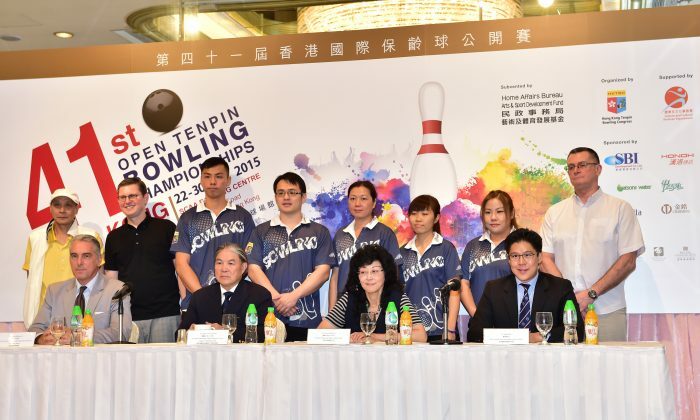 The Championships is sanctioned by the World Tenpin Bowling Association (WTBA) and the Asian Bowling Federation (ABF) and will be held at the South China Athletic Association Bowling Centre, in Causeway Bay. The competition includes: Open, Hong Kong Cup, Grade A, Grade B, Youth U18 and Seniors Divisions. For men and women there are singles and doubles categories. The Hong Kong event is the 7th leg of the 10-leg ABF Tour 2015. Following completion of the qualifying competitions, top bowlers will move forward to the Masters’ Finals to be played from Friday August 28 (Senior Masters and U18 Youth Masters Finals), with the other Masters Finals taking place of Saturday August 29 and Sunday August 30. Some Hong Kong players seeded in the Men’s and Women’s Open Masters events were at the launch ceremony. Rickie Kam, Joshua Chow, Chan Shuk Han, Milki Ng and Joan Cheng were present together with Team Manager Frankie Cheung, Head Coach Bill Hoffman, and Coach Mike Seymour. Five times World Champion Hoffman from USA and Australian Seymour have both been coaching the Hong Kong team for the last three years. 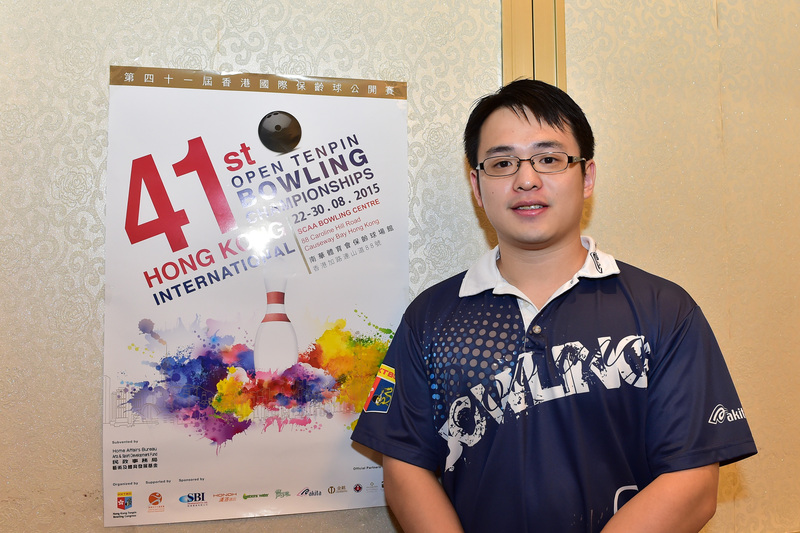 Hong Kong has success aspirations for a number of players including Wu Siu Hong and Michael Mak (ABF Champions 2015), Eric Tseng, Wicky Yeung, Jimmy Cheung (currently competing in Japan), Rickie Kam and Joshua Chow in the Men’s Masters Open and for Chan Shuk Han (ABF Champion 2014), Milki Ng and Joan Cheng in the women’s event. There will be strong competition from top bowlers from 11 countries from all-over Asia, Australia, Canada and the Middle East. The defending Open Champions for the tournament are Hussain Al Suwaidi from the UAE and Victoria Chin from Malaysia. Left hander, Joshua Chow now a young looking 29 years old has been playing Tenpin Bowling since he was 14 talked with Epoch Times about the tournament. “At this level the game is all mental, the top players use mental skills to maintain their high level. It is necessary to have a good game plan and if on that day plan A does not work, I have other backup plans. The most important thing is to be process oriented, I don’t think about the result but think about ball speed, line and release and this helps me become more focused”. When asked about changes to the rink during the game, Chow explained. “Usually for a competition the oil pattern is kept the same but as we bowl, the oil pattern changes, so sometimes we don’t have good bowl action. That is the time we need to think what we should do to make the correction. “We all try to hit the “pocket”” he concluded.